The Launchpad Fund is a new resource which helps talented artists or bands in Wales to further their music careers by providing them with vital access to finance. Part of the Horizons scheme, the Launchpad fund is a resource which helps talented artists or bands in Wales to further their music careers by providing them with vital access to finance. 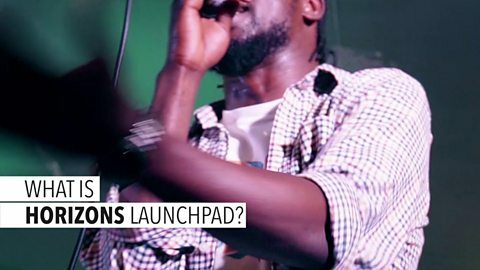 Launchpad, as implied by the name, is for those starting out on their musical journey, at a crucial point in their development. It is to help support activities that will help artist or bands fulfil their potential. We’re looking for artists/bands that can demonstrate interest from audiences and those that work in the music industry (such as venues or critics) but need support to enable them to carry out an activity that will enable them to increase their reach. We will be offering awards of up to £2,000 each. What kind of activity might Launchpad Support? How much funding you’re asking for and what it will be spent on? What activity the funding will enable you to do? Why now is the best time? We expect that the fund will receive a lot of applications so be reasonable in your costings – we’ll have to consider value for money and how appropriate the ask it given the stage in your career. What will Launchpad not fund? We cannot fund your time (as wages or loss of earnings). We also cannot fund international travel and associated expenses. Whilst we will fund equipment, there needs to be a clear rationale. Tell us how it will be used and why it is needed. Who can apply to Launchpad? Launchpad will be open to Wales based artists/bands writing, producing and performing original contemporary popular music. These contemporary music genres include indie, electronic, urban, pop, rock, world, folk and emerging contemporary music genres. Eligible bands must have a significant proportion of the group living in Wales. Solo artists must live in Wales. Artists/bands must be able to prove that they are over 18 years of age on the date of entry. Artists/bands must also comply with the terms and conditions set out below. Artist/bands can apply only once. How to apply for Launchpad? You’ll need to fill in an application form, answering all of the questions. Please click here to download the form (.pdf) or a Microsoft Word Version (.docx). Please note these terms and conditions apply. Completed applications will need to be emailed to horizons@bbc.co.uk by midnight on Friday, 16 November, 2018. Unfortunately we’ll not be able to provide feedback on unsuccessful applications. If you have any questions, please don’t hesitate to contact us via e-mail horizons@bbc.co.uk.